Scanned from Portuguese magazine Ilustração, No. 110, July 16, 1930. Click image for 856 x 1172 size. 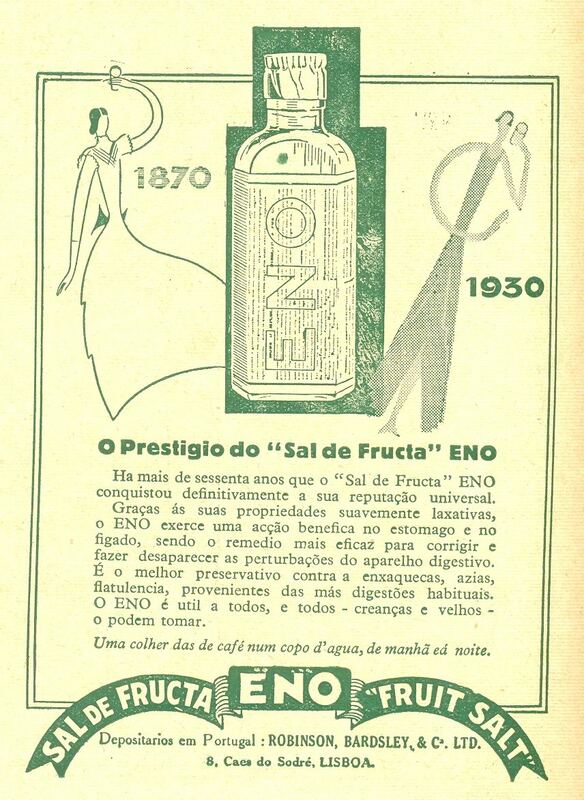 "The prestige of ENO 'Fruit Salt'."